Imagine, you are on a trip to the countryside with your family in your car and on the way the brakes stop functioning!! It can be absolutely devastating! However, you could have avoided this situation. The car brakes show some kinds of symptoms which demand attention; however, people tend to ignore them and when the bell rings, that is the time they wake up. Had you asked a mechanic to run a routine checkup once your car brakes showed certain signs, no matter how minor they were, the problem would have been diagnosed and fixed! Now that you have learned your lesson, you must be careful in future and look for the symptoms of car brake failure in the days to come. In the following section of this article, you will be offered a brief insight into 7 signs which you should look out for in order to avoid break failure of your car. When it comes to the car brakes, you simply cannot afford to be complacent. You might tend to ignore the symptoms; however, it could lead to something very serious. Therefore, in order to avoid the damage, look out for the following signs and get your car brakes checked by a mechanic. CRYSTALLIZED SHOES OR BRAKE PADS: Here the brakes have lost their softness and cannot easily grab and stop the rotation of the rotor or the brake drum. This situation occurs either because of too many panic stops or riding of the brake. SOAKED GREASES OR OIL: Oil or grease from the front transaxle or rear differential can get into the brakes because of a damaged oil seal. LOSS OF POWER: When the power brake booster starts losing power assist at a rapid pace, it would invariably cause poor braking performance. There are a couple of reasons which can cause such a situation, like deterioration of the vacuum brake or loss of engine vacuum. 2. GRINDING OR SQUEALING NOISES BEING GENERATED FROM THE BRAKES: This symptom usually indicates glazed or worn brake pads, which generate the squealing noise. Whenever you come across squealing noises, the first thing you should do is to get the brakes checked by a car mechanic. 3. GRABBING OR PULLING TO A SIDE: There are quite a number of reasons which can lead to this situation. It can occur due to improper adjustment of the brakes, leakage of the brake fluid, frozen brake, freezing of emergency brake cables, leakage of oil or grease. 4. BRAKE PEDAL LOSS: This happens when a broken hose fails and leads to fluid leakage. A thorough inspection would reveal this situation. 5. BRAKE PEDAL PULSATION: This situation arises because of mechanical wear and heat and tends to make the rotor of the brake thinner and results in warping which eventually leads to pulsation. 6. CLICKING NOISE: Every single time you push the brakes, you would hear a clicking noise. It happens because the calipers of the brakes tend to loosen up over a period of time. 7. TOO MUCH OF DRAGGING DURING ACCELERATION: This is another very common sign of brake failure. 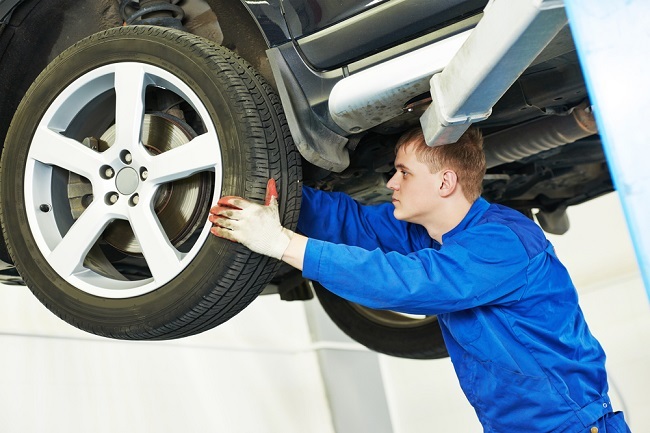 Now that you are aware of the signs which could lead to a brake fail, you must look out for them and ask a mechanic to run a thorough checkup whenever required.